For nearly four decades Advanced Office has been providing solutions to make Southern California offices run more productively, more reliably, and more efficiently. Over this time, Advanced Office has built its reputation by providing customers with the most courteous, dependable, and knowledgeable service and support possible. Today's challenges to organizations include mobile workforce needs, Bring-Your-Own-Device headaches, cost containment and recovery, and information security. Advanced Office brings you Smart Solutions to meet these challenges. 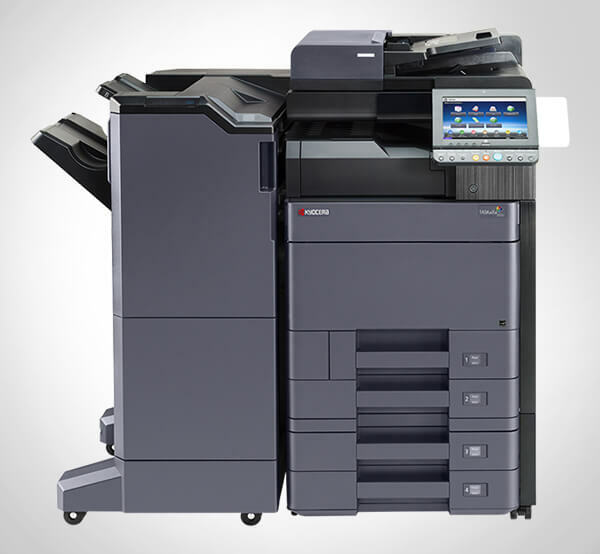 Advanced Office is an authorized dealer for Ricoh and Lexmark, the industry leaders in innovative, high-performance copiers, printers, multifunction devices, production printers, wide format printers, digital duplicators, and more. With an infrastructure built around flexibility and efficient internal communication, a local dispatch, and four offices strategically located throughout Southern California, we have the ability to respond quickly and effectively to regular and emergency service requests. Everyone on our team, from our sales consultants to our technicians and trainers, aims for complete customer satisfaction, and we invest the time to become completely familiar with our clients. By thoroughly understanding their needs, we are better able to serve them. As a result, we recognize our customers by name when they call and are immediately driven to help--no red tape, no bureaucracy, no delays. We focus on successfully resolving copier- and printer service-related issues on the first visit. We accomplish this by staying familiar with the needs of our clients and by requiring our skilled service team to keep their vehicles fully stocked at all times. Our technicians have access to our large inventory of OEM parts and manufacturer-approved supplies and we, in turn, have direct access to Ricoh and Lexmark's own warehouses. Our service staff is manufacturer trained and certified to sell, install and service all of our Ricoh and Lexmark machines. They average more than 13 years of experience and are fully screened and background checked. Additionally, our IT technicians, product trainers, and sales consultants receive ongoing training. No matter who you work with, you can trust that you are working with a Ricoh and Lexmark expert. In addition to making reliable recommendations to our customers regarding the best printer or copier for their needs, we also develop custom workflow solutions that help businesses reduce their printing costs and increase productivity. Advanced Office has built a client roster of more than 30,000 businesses because we prioritize value. In addition to high-quality copiers and printers at competitive prices, we also provide them with truly outstanding service. Advanced Office is renowned for its exceptional service. Our clients choose us over larger companies and manufacturers because we know our customers by name, not number; and are always looking for ways to provide added value. Call us today to experience the Advanced Office difference. You'll work with one of our knowledgeable consultants who will provide you with a free, comprehensive needs analysis at your worksite. About the helpdesk: "Needless to say my problem was solved and it was a pleasant experience. In a very calm manor he walked me through what I needed to do and what he could do to fix the problem. . . .